Tired of living in chaos? 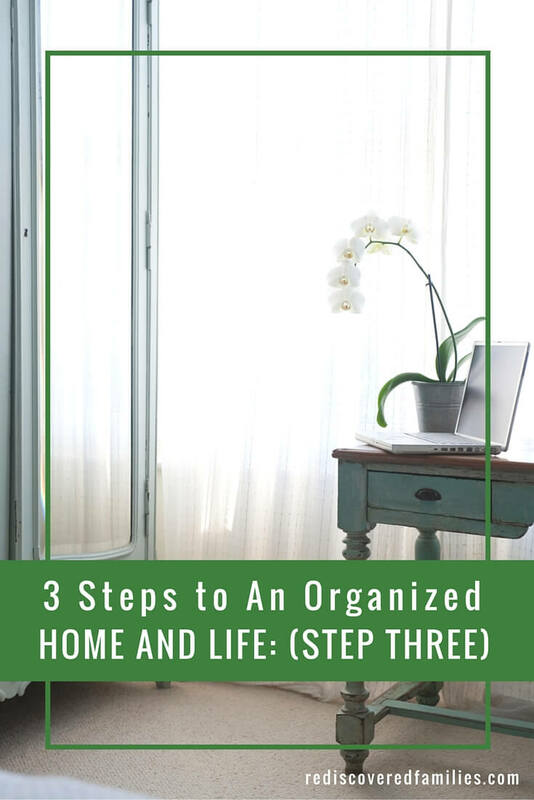 Here is the third of three steps to show you how to organize your home and life. It’s time to establish some helpful habits! I have a confession to make. I used to be the world’s most disorganized person ever. In fact if disorganization were an olympic sport I would be have been a gold medal contender for sure. It would have been ok if I liked the way I loved, but i didn’t. In fact I hated it! I’ve fought a lifelong battle with myself to get organized, so I can enjoy a calm life. It took many years of trial and error and many tears to figure out a system that worked. I have found the struggle has been worthwhile. Whenever I establish some level of organization my life becomes a lot calmer and I’m a lot nicer to be around. This month I have been sharing the 3 step process that I developed to help me get organized. Step 1 is letting go. This week I’ll take about Step 3 which is establish helpful habits. Habits are the powerhouses of organization. They allow us to establish routines and actions that become automatic. Whenever I get into a car I immediately reach for the seat belt. I don’t have to exert any willpower to do this. I don’t even have to think about it. My hand goes for the seat belt. It is a habit. When it comes to organization helpful habits can be our best friends. Learning to establish them is both a challenge and opportunity. Still they can make a huge difference in our lives. 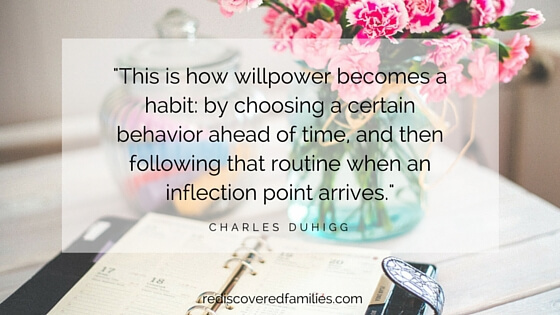 A few years ago I read the fascinating book “The Power of Habits” by Charles Duhigg (affliate link). Duhigg uses anecdotes, interviews, and years of research to describe how habits are formed, how they can be changed, and why they’re so powerful. The book really opened my eyes to the ways that my habits have shaped my life (for good and bad). When it comes to organization helpful habits can really make our life easier. Once the habit is established we will simply do what needs to be done almost without thinking. Clearing the dirty dishes as soon as you get up from the table. Putting away groceries as soon as you bring them into the house. Having 5 minute tidy up every night before watching television. In the previous post I described how applying the first two steps (letting go and simplifying) helped me organize household finances and toys. Once I was fairly organized I knew that I needed some helpful habits to help me maintain the organization. When my bills arrive in my in-box (cue) I download them and store them in my financial files (action). I set an alert on my computer (cue) to remind me to do quick five-minute check on my accounts every week (action). I make sure I recognize all charges and withdrawals and see how much money is left for the remainder of our pay period. As soon as I deposit payments for my writing contracts (cue) I place the paperwork straight into the envelope folder that is kept on my desk for tax documents (action). I set an alert on my computer (cue) to remind me to pay all the bills at the start of the month (action). This makes it easy to see at a glance how much money is left for spending that month. If we get down to zero before the end of the month we simply stop spending. The reward in every case is the ease with which I can track and deal with the finances. It has drastically reduced my stress. I set an alarm (cue) to remind my boys that it was time to pick up toys at the end of each day (action). As we had reduced the number of toys we had it didn’t take very long and this quick tidy helped keep everything organized. The toys needed to be picked up before screen time (reward). 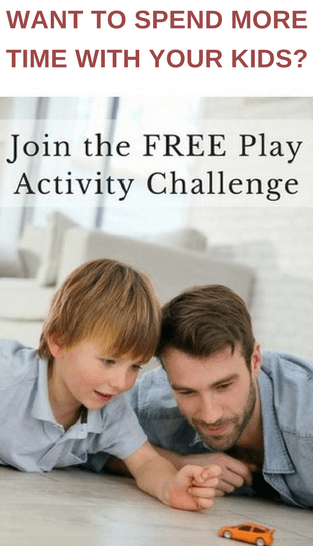 Selecting a special clean up song and challenging kids to finish clearing up before it ends. So that’s the three step process I use when it comes to organizing my home and life. It has worked really well for me and helped me enjoy a fairly simple life. My challenge for you this week is to this week is to identify one small area where your organization could be improved. Now think about what you can let go and how you can simplify. When you have completed the first two steps think about what actions / routines/habits you need to establish. Use the habit loop to your advantage. Identify a cue that will work for you. Choose the action that will come out of the cue. Identify the reward associated with the action. There are lots of people giving advice about organization these days. I want to remind you that all they can do is tell you what works for them. 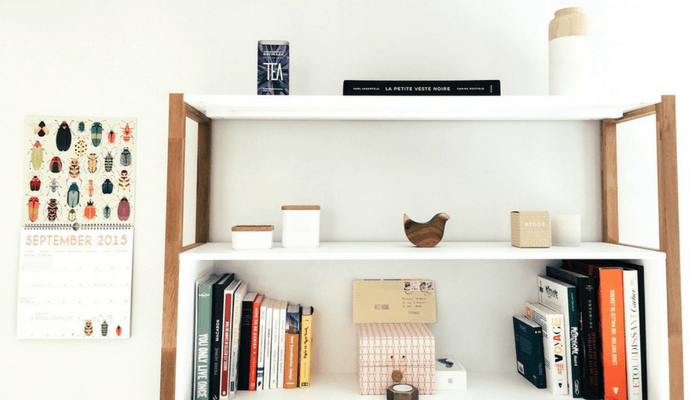 Just because a technique works for Marie Kondo doesn’t automatically mean it will work for you! Everyone is different and so everyone needs their own unique approach. Take what works for you and create something special. Please don’t get bogged down with the “shoulds” and the “oughts” of others. 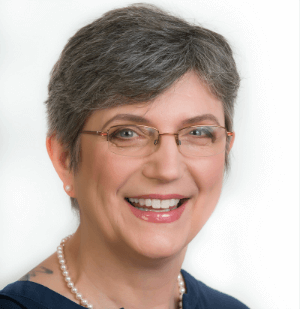 Just because an expert uses a particular system doesn’t mean you have to do it the same way. If you develop your own system of organizing things you are more likely to succeed. What habits do you use that you find helpful? 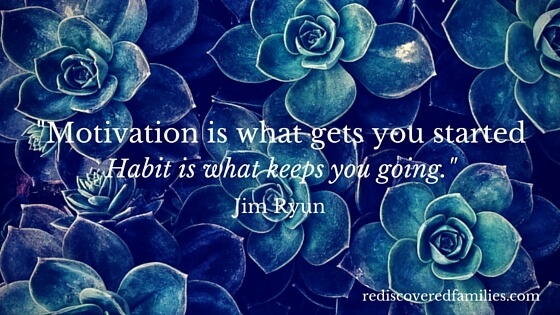 Where would you like to establish some helpful habits? I’d love to hear your thoughts in the comments. Getting into good routines and habits is a great way to stay organised. I have just been managing to do this with the schools paperwork, I was loosing things and forgetting to return letters, but now it is all where it should be. School paperwork has got to be the worse, particularly if you have more than one child! We finally managed to find a routine, but my boys never remembered to give me the papers unless I asked! Somehow we got through those school years intact! My main habits are making my bed in the morning, 5 minute tidy of the lounge/dining before I watch my tv programmes or do work (blog) (this includes returning toys to playroom) and going to bed with a clean kitchen. These three things make a huge difference to my day. Still getting used to ‘back to school’ routines and habits. Plus I start work next week, so my time management needs to switched on.